Get your guide to the best trails around! Now, you can help Rails-to-Trails Conservancy build trails and get a FREE guidebook. Pick from 13 trail guides, including our two brand-new 2019 guidebooks. 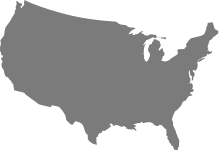 Rails-to-Trails Conservancy is a nonprofit organization dedicated to creating a nationwide network of trails from former rail lines and connecting corridors to build healthier places for healthier people. Rail-trails are multipurpose public paths created from former railroad corridors. These paths are flat or gently sloping, making them easily accessible and a great way to enjoy the outdoors. Rail-trails are ideal for many types of activities--depending on the rules established by the local community--including walking, bicycling, wheelchair use, inline skating, cross-country skiing and horseback riding. 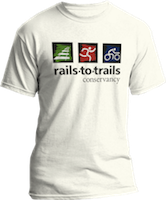 Get a FREE t-shirt and support our work to build, maintain, defend and connect trail corridors across the nation. 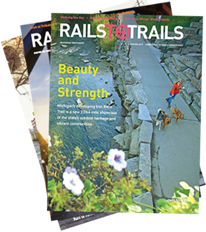 Subscribe now to get special features on remarkable rail-trails and trail-networks while also supporting our work.